Jul 22, 2015 | Nice To Meet You! Kachun is a native of Hong Kong and also an American Citizen. He moved to San Francisco in 2003. A recent graduate of San Francisco State University, Class of 2014, with a prestigious degree in Philosophy. Religious affiliation is agnosticism. Kachun was my fellow classmate in the prestigious and lucrative field that is Philosophy. We became quite acquainted with each other through various deep and profound discussions pertaining to life’s greatest questions such as God, meaning, and existence. We took Modern Philosophy, Philosophy of Religion, and Formal Logic together. Despite that fact that we held different worldview, our worlds collided due to our differences, and resulted in our friendship. What Was The Job-Hunting Process for You Upon Graduation? Was your university degree helpful towards finding employment? Yes and no. A simplified response would be that the major didn’t directly help me find a job, instead, I was considered for hire based on my whole package. Employers valued my linguistic abilities (Cantonese, Mandarin, English), my personal upbringings, cultural adaptiveness, and yes, the fact that I have a bachelor degrees, which is the modern equivalent of a high school degree also is a key factor. *And finally, sit on a chair and watch people watching other people or people staring out the window stuck in a philosophical trance. Why did you choose to come to HK to work? Its like this. When you eat Mcdonalds everyday, you don’t want to eat Mcdonalds anymore, even though you like Mcdonalds. It’s the same thing for staying at one location (San Francisco), I wanted to try something new. Especially when you are young and when you have the chance to explore and travel the world. I emailed one of the owner of the hostel and asked if they needed any help or have any positions available. It wasn’t that complicated haha. I plan to work in HK for a year and then find some other job. Possibly get a HK girlfriend. (呵呵) In regards to a particular career, as of present, I have no clue. I am sure it will work out fine. Are you planning to pursue a graduate degree? Maybe. I enrolled in a humanities masters program in SFSU, but left after the first semester. I felt that it wasn’t worth the time and effort after enrolling in the first semester, and I didn’t want to write any more essays. The classes were interesting, but when it came to turning the essays in, I was like ^%*$ it. Then I moved to HK, I probably got an F in those two classes, and if I wanted to go back I would have to re-enroll. How hard is it to survive in HK? What does it take to move up the social ladder or get a decent job in HK? In respects to the first question, its quite easy to survive in HK. Look at these foreigners who come to travel to Hong Kong. As long as you know English your pretty much set. In the worst case scenario, you will run up against a Hong Kong native who know only few sentences of English, however, thats pretty good already if you think about it. In general, the average Hong Kong native is quite fluent in English. As for your second question, this is quite difficult to achieve since the inhabitants of Hong Kong are multi-talented, highly competitive, and has that survival-of-the-fittest mentality. I believe this phenomena is created by the high density of people per square foot of land here, hence, compelling the inhabitants here to up their game and stand out among the crowd. High paying jobs are out there, but there is usually a price tag that comes with it, and it usually involves working 60-80+ hours to maintain that type of salary. For me, I am pretty content with where I am at. 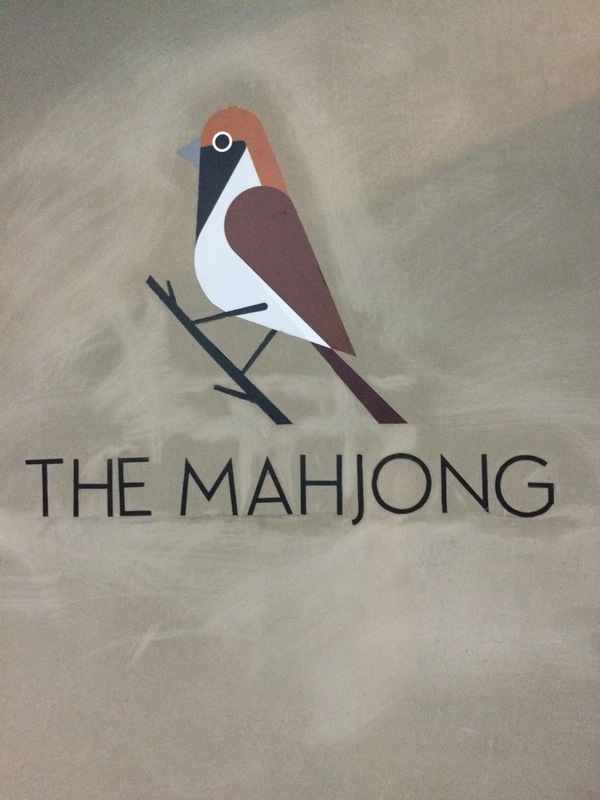 It’s nice working here at The Mahjong.